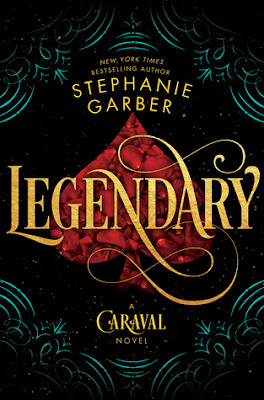 Legendary by Stephanie Garber was definitely one of my most anticipated reads for 2018, and I was super excited to finally dive into this book. I read Caraval last year, and really enjoyed the story, (and re-read it again this year before starting Legendary), and I absolutely couldn’t wait to see where the story would go next, AND to see if all our questions would finally be answered. I’m so glad to have finally read this book! Let me start this by saying that I totally thought Caraval was a duology, and I went into Legendary fully expecting the end of the story with all my questions answered. Surprise, it’s not a duology, it’s a trilogy! I’m have mixed feelings about this, as I mentioned above, I fully went into this book expecting all my questions to get answered, some did, but more didn’t, and it completely took me to the end of the book to realize that this wasn’t the end that I expected. So, yeah… that took me by surprise, but… YAY, there’s totally going to be a third book, titled Finale, which is current set to release in 2019. Considering that the third book is titled Finale, I fully expect it to actually be the final book in the series, and I’m really looking forward to reading it. Legendary is the second book in the Caraval series, and while the first book is told from Scarlett’s viewpoint, Legendary is told from her sister Tella’s point of view. Tella was quite mysterious in the first book, and I was curious to learn more about her in this book. She really wasn’t at all what I expected, going by what we knew of her from the first book, and I really enjoyed her character growth over the course of the book. I’m curious to see what’s next for her. I also liked that most of the characters from the first book around in this second book also, along with a few new interesting characters as well! The storyline for Legendary follows along the same line as the first book, yet somehow felt completely different as well. 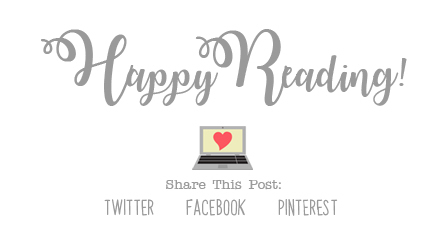 Maybe it was the setting, or the mythical tales, or maybe it was just that the magic felt different, I’m not sure, but, either way, I was hooked. It actually took me longer than I expected to read this book, thanks to our busy schedule, but when I actually did have time to read, I flew through the pages. I had SO many questions after reading Caraval, and quite a few of those were answered in Legendary, but I’m still left with quite a few, and I’d really love to have answers to those. Hopefully we get them in Finale! Overall; Legendary was an interesting sequel to the charming Caraval, and though it wasn’t the end of the story like I was expecting, I did really enjoy it. I’m not really looking forward to waiting another year to have Finale in my hands, but at least I will have an excuse to re-read Caraval and Legendary before it is released next year, and hopefully with THAT book, I will get the answers I really need. If you’ve already read Caraval in the past and LOVED it, you’ll definitely want to pick up Legendary soon! And if you’ve not yet started this series, I definitely recommend it. I hope you enjoy it as much as I do!